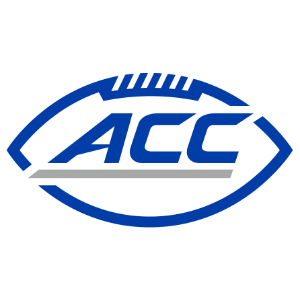 The ACC Football Players of the Week have been recognized following their performances in Week 5 of the 2017 season. OFFENSIVE BACK – Max Browne, Pitt, Sr., QB, 6-5, 230, Sammamish, Wash.
Browne had the finest game of his collegiate career – and one of the most prolific passing outings in Pitt history – in the Panthers’ 42-10 victory over Rice. Browne connected on 88 percent of his passes (28 of 32) for 410 yards and four touchdowns with no interceptions. His incompletion total included three dropped passes. Browne was 14-of-16 for 247 yards in the first half alone. Browne’s final passing yardage total was the highest by a Pitt player since Tom Savage threw for 424 yards at Duke on Sept. 21, 2013. Additionally, Browne’s 28 completions were the most at Pitt since Savage also completed 28 passes at Syracuse on Nov. 23, 2013. Browne is one of only nine players in Pitt football history to throw for more than 400 yards in a single game, and Saturday’s 410 passing yards rank eighth all-time in school history. OFFENSIVE LINE – Kenny Cooper, Georgia Tech, So., C, 6-3, 307, Calhoun, Ga.
Cooper anchored an offensive line that paved the way for Georgia Tech to rush for 403 yards and score on six of 11 offensive possessions in a 33-7 win over North Carolina. Cooper took 10 defenders to the ground in 76 plays (one every 7.6 snaps). Behind the Cooper-led offensive front, Georgia Tech had two 100-yard rushers for the third time in four games this season. RECEIVER – Ervin Philips, Syracuse, Sr., WR, 5-11, 181, West Haven, Conn.
Philips set a Syracuse and ACC record with 17 receptions for a career-high 188 yards in the Orange’s 33-25 loss at NC State. His 17 catches were the most by any FBS player in a game this season. Philips accounted for 56.7 percent of the Orange’s 30 total receptions against the Wolfpack. He had eight catches for 106 yards in the first half and added nine more for 82 yards in the second half to help Syracuse stay within striking distance. It marked Philips’ third career 100-yard receiving game. Already second on the Syracuse all-time receptions list, Philips raised his career total to 178 catches in 38 games. DEFENSIVE LINE – Bradley Chubb, NC State, Sr., DE, 6-4, 275, Marietta, Ga.
Chubb repeated as the ACC Defensive Lineman of the Week following his performance in Saturday’s 33-25 win over visiting Syracuse. Chubb tallied eight tackles, including six solo stops and 3.5 tackles behind the line of scrimmage for total losses of 24 yards. That included a pair of quarterback sacks. Chubb was also credited with two quarterback pressures in the win. LINEBACKER – Dorian O’Daniel, Clemson, Gr., LB, 6-2, 215, Olney, Md. O’Daniel made school history in the second-ranked Tigers’ 31-17 win at No. 12 Virginia Tech. The graduate student had 10 tackles, a sack, a fumble recovery and a 22-yard interception return for a touchdown. He became the first Clemson player ever to return an interception for a score and record a sack, a fumble recovery and double-digit tackles in the same game. DEFENSIVE BACK – A.J. Gray, Georgia Tech, Jr., S, 6-1, 218, Sandersville, Ga.
Gray intercepted two passes and recorded four tackles to lead another stout defensive effort by Georgia Tech in a 33-7 win over North Carolina. Gray’s two interceptions both came in the third quarter, which helped the Yellow Jackets turn a tenuous 10-0 lead into a commanding 24-0 advantage. His first interception turned the tide of the game, as it came on the first play after a fumble gave UNC possession in Georgia Tech territory. One play after Gray’s interception, KirVonte Benson scored on a 63-yard touchdown run for a 17-0 Yellow Jackets’ lead. The Gray-led defense limited North Carolina to just 247 total yards, forced seven three-and-outs in 12 defensive series and didn’t surrender any points until UNC scored with 5:05 remaining in the game. SPECIALIST – Ricky Aguayo, Florida State, So., PK, 6-2, 196, Mascotte, Fla.
For the second consecutive week, Aguayo made four field goals, going 4-for-4 with a career-long 51-yarder in Florida State’s 26-19 win at Wake Forest on Saturday. Aguayo is the third Seminole ever with eight successful field goal tries in a two-game span. His 51-yarder gave FSU a 3-0 lead in the first quarter and was four yards longer than his previous high of 47 yards last season. He added two extra points and has accounted for 27 of FSU’s 47 points over the past two weeks. His 2.67 field goals per game rank first in the ACC and fourth nationally. ROOKIE – Greg Dortch, Wake Forest, WR, R-Fr., 5-9, 165, Richmond, Va.
Dortch caught a career-high 10 passes for 110 yards in the Demon Deacons’ 26-19 loss to visiting Florida State. Seven of his 10 receptions went for first downs. Dortch added four carries for seven yards, four punt returns for 48 yards (including a 29-yard return), and two kickoff returns for 31 yards. Dortch finished the day with 196 all-purpose yards on 20 attempts.